St. Matthew’s Parish School is an Episcopal day school, located in Pacific Palisades, CA. The school provides an excellent education through a challenging, caring and balanced program. Our purpose is to affirm that we are all children of God and to nurture intellectual, creative, spiritual and ethical individuals who serve, lead and flourish in an ever-changing world. The School’s motto states simply our desire to have each student at St. Matthew’s be a person who serves others, both within the school and the larger community. Leadership is developed from the earliest grade levels where students are given the opportunity to work collaboratively with classmates and to take turns being in a leadership role. From this work of service and leadership, we hope each will flourish and enjoy a fulfilling life. A small school by design, St. Matthew’s teachers and students have the opportunity to enjoy working closely together and have easy access to one another. We are a student body of approximately 350 in the preschool through eighth grade. Every student in the school community, PS-8th grade, discusses and signs a Character Covenant that articulates our expectations on how we expect to be treated and will treat, care for, and support others in our community. The Covenant and our daily work at school promote the school’s motto – Serve Lead Flourish – through emphasizing the following five principles: Respect, Responsibility, Empathy, Honesty, Fairness. Dutch for flip-light. Built with tilt switches, 3rd through 6th grade after school maker class. St. Matthew’s Parish School has two dedicated spaces where tools are most readily accessible. The PIRL space is designed to facilitate the kind of learning environment that allows for creativity, flexibility, and collaboration. The tables can quickly be configured to accommodate pairs, small groups, and large groups. They also fold up, roll, and nest into each other when not in use. Most of the walls are writable surfaces, one with a SMART interactive projector that makes it a touch surface as well. Electrical pull-downs are placed in the ceiling for easy access to power anywhere in the room. A giant wall for storage, a green screen filming area, and two audio recording studios complete this indoor space. 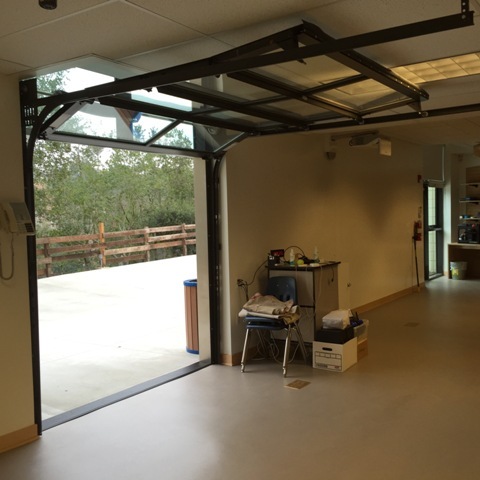 Just outside, accessible through a roll-up garage-style door, is an additional work area for students that also includes a large wall with writable surface. Wood, acrylic, cardboard, peg board and other materials for students to use in building their projects. Students maneuver between these two spaces when working on larger projects. One person in a group might need to design a part in 3D, while another needs to measure and cut a piece of wood. Student work all depends on the goals of the project, and the direction that students choose to take in their design and construction. The two spaces complement each other, and work in sync with the art room, and science lab nearby. PIRL uses both indoor and outdoor learning space. Here’s how we move furniture in and out. We take a multi-faceted approach to the integration of our innovation spaces here at St. Matthew’s. There are regularly scheduled classes as well as open times for core classes to bring students into the rooms for work on projects. In addition, clubs and after school classes utilize the spaces. Creator’s Studio: This 7/8 grade elective course focuses on individual, student-driven projects. The course covers four major concepts: circuits, coding, physical computing, and digital fabrication. Students begin by exploring these concepts together through short projects, and turn to more in-depth individual projects once the foundation is covered. Personal projects have ranged from remote-controlled boats, to motion sensing nerf shooters, to 3D printed tools. Students invariably build in a combination of elements (circuits, coding, digital fabrication) in order to accomplish the goals of a project. Mostly importantly, all projects go through multiple iterations, as students evaluate and redesign along the way. D.E.E.P. : About half of the 8th grade class participates in the D.E.E.P (Diving Educational Enrichment Program). This trimester long unit integrates STEM concepts with underwater diving in order to explore and test laws such as Boyle’s Law, Charles’ Law and the concepts of buoyancy and pressure. For students that opt to design and build underwater submarines as part of their experiment, access to 3D design and printing is essential for the creation of unique parts with custom measurements. Students might design fins or propellers in TinkerCAD, then print out at their desired size. The ability to quickly prototype is essential so that students can test out parts and return to the design phase should they run into problems. 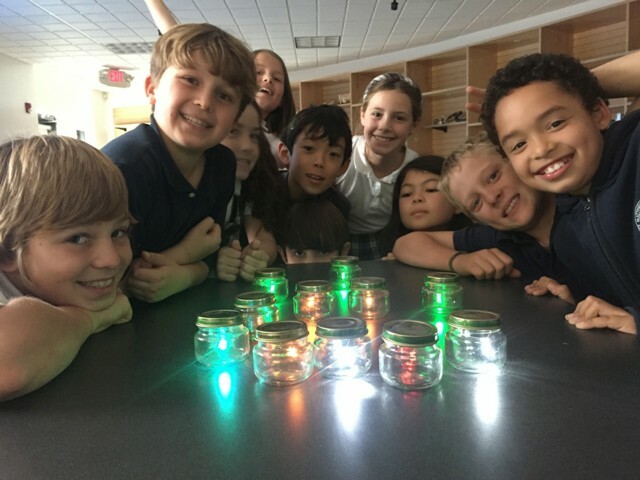 Summer STEAM Institute (Lucas Scholars) : During the summer, St. Matthew’s offers a week-long STEAM institute for the Boys and Girls Club of Venice and the Neighborhood Youth Association. The theme for the week is “breaking the code,” as in the code of language (Shakespeare), the code of life (DNA), and the code of the computer (programming). One aspect of this week is to design an interactive display of some form using a Hummingbird robotics kit and recycled materials. Students learn to program their Hummingbird board to allow them to sense the environment through distance measurement, ambient light, sound and temperature. It is fascinating to see how our students have adapted to the use of the tools in PIRL and PIRL Terrace. They are designing in 2D and 3D space with software tools such as Illustrator, TinkerCAD and 123D Design. They are preparing models for printing on the laser cutter and the various 3D printers available to them. Students learn to code in graphically based programming languages like Scratch, or CREATE LABS visual programmer, while some students, such as those in Creator’s Studio, are exploring the Arduino IDE to interface with microcontrollers and build simple robots. We integrate not just high-tech tools, but also low-tech tools one would identify with shop classes of the past. Miter saws, drill presses and handheld power tools combine with 3D printing and laser cutting to complete a project. Students will learn and use all that is necessary in order to accomplish their tasks. Soldering irons and glue guns are added into the mix where relevant and appropriate. In the photos that are included here, you will see a number of project examples. In addition, the student blogs section of the Creator’s Studio website (www.creatorsstudio.org) will highlight individual student projects from this class. Looking forward, our goal is to bring more classes into the space for projects that integrate into their existing curriculum. While a number of middle school classes have already utilized both PIRL and PIRL Terrace, the lower grades have only done so sporadically. We are constantly reviewing the various projects that exist at all grade levels to determine where the space and the tools make sense and can enhance the project in some way. While we use all of the tools in PIRL and PIRL terrace, we often find a need for even more unique tools. This spring we are excited to implement an OtherMill CNC machine, as well as vinyl cutting in order to fabricate designs and parts that are not possible with either 3D printing or laser cutting.